Two sections of the riverside path are being threatened by riverbank erosion. New trail sections will be created a safe distance away from the edge of the bank and connected to the main trail. The eroding trail sections will be closed and re-naturalized. The existing stairs near the Whitewater Paddlers location are presently in poor condition and will be replaced. An additional set of stairs will be added along the riverside trail to provide another safe means for park users to access the water. The popular “dog beach” is accessed via a steep, eroding slope. To improve access, a subtle set of embedded stairs will be installed along one side of the slope. A natural path for dogs to use will be maintained alongside the stairs. The bicycle path through Melton Ravine will be realigned to improve access onto the Hawrelak footbridge. The section of trail that will no longer be utilized following the realignment will be closed and re-naturalized. 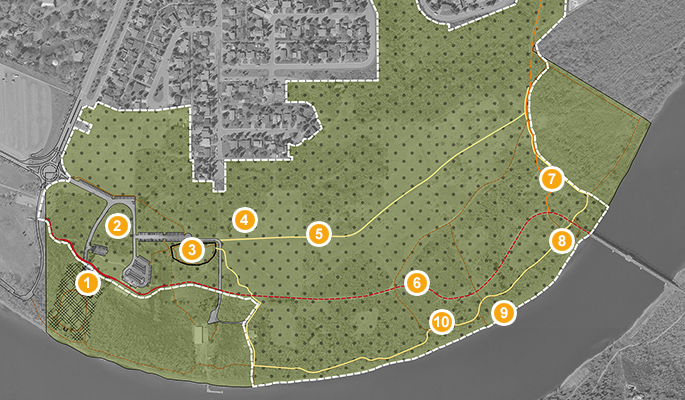 The wide, shared-use pathway corridor through Buena Vista Park will be altered to provide two parallel path types. 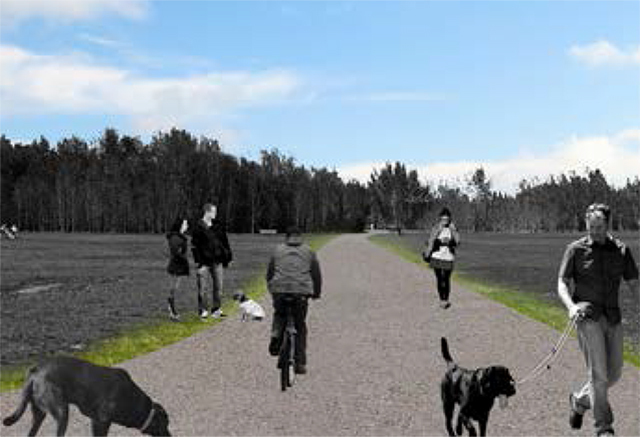 A three metre-wide asphalt path will be installed on one side, and a gravel path will be created on the other side. A one metre-wide vegetated swale will separate the two paths. 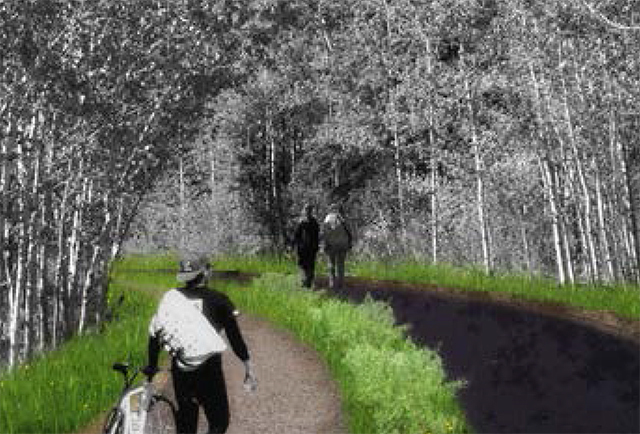 This pathway improvement will bring this trail in line with City of Edmonton standards for shared-use pathways, and also completes this section of the Trans Canada trail network. This project component is being supported by the Government of Canada’s Trail Improvements program and the National Trails Coalition. The secondary pathways (formal gravel trails) in the park will be re-graded to improve drainage off the walking surfaces. A new gravel surface will also be applied to these trails. 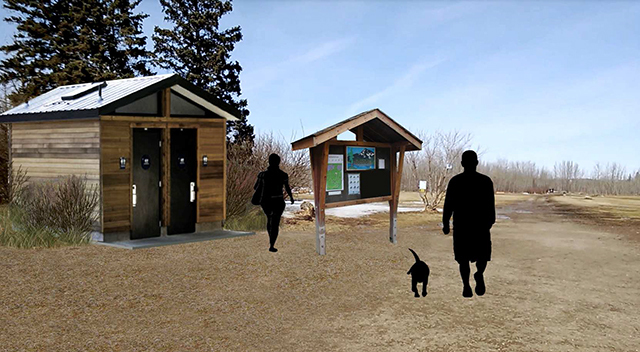 The amenity node in Buena Vista Park, located near the dog training area, will include an accessible vault toilet facility, dog watering fountain, waste receptacle, bench and an information/wayfinding kiosk for users to find maps, wayfinding and information signage. The off-leash area amenity node provides a more centrally located washroom as an alternative to the “port-a-potty” located in the off-leash parking lot. A dog tie-up would allow park users to use the washroom without worrying about their dog’s safety. As well, the accessible toilet provides a near-by amenity for mobility impaired dog-walkers who use the off-leash training area. A fenced and gated off-leash area will be established for dog training and for barrier-free access for elderly and mobility-impaired dog walkers. 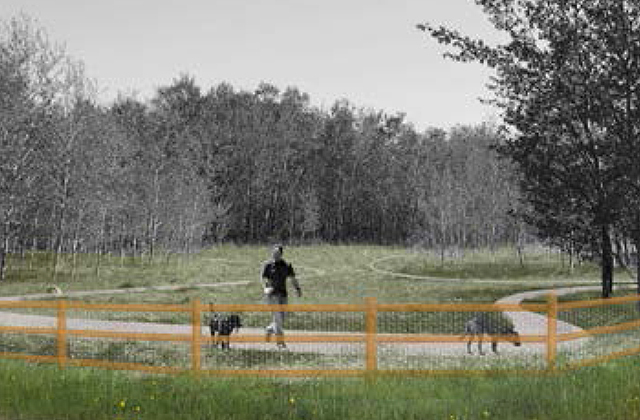 The training area will feature a looping pathway and both grassed and forested landscapes for dogs to explore. 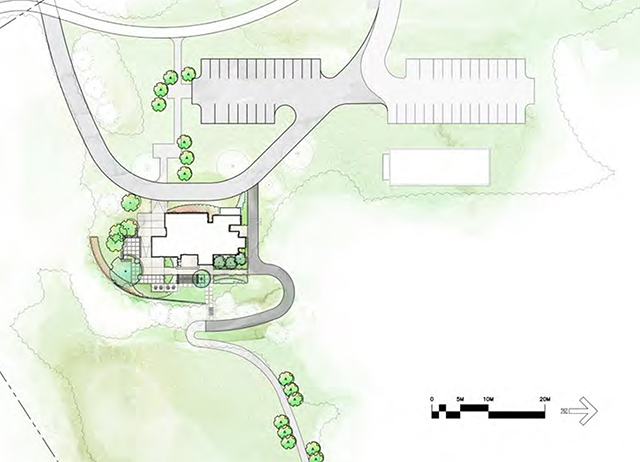 A new 20 stall gravel parking lot will be created across from the existing parking lot at the Rowing Club. This lot will be available to be used by Yorath House guests and park users. The Buena Vista/Sir Wilfrid Laurier Park 10-year Master Plan was approved by City Council. The plan strives to increase people's opportunities to experience and enjoy the park while preserving and enhancing the ecological systems in place. The plan expands opportunities to view and touch the water, introduces additional amenities, enhances existing facilities such as Yorath House, increases barrier-free design through the parks, identifies preservation areas and implements measures to protect and stabilize shoreline areas along the North Saskatchewan River. The master plan is being implemented in phases and with anticipated completed by 2018. Construction projects are underway at Buena Vista Park and Sir Wilfrid Laurier Park. Visitors should expect detours and possible traffic delays at both parks. These projects are all part of the Buena Vista Master/Sir Wilfrid Laurier Park Master Plan implementation and are anticipated to be complete in 2017. 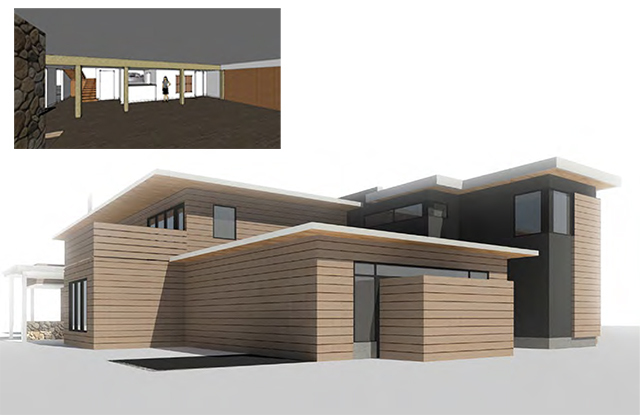 Renovation of the Yorath House (1), construction of the Yorath parking lot (2), and the off-leash meeting area amenity node (4) began in September 2016. Completion is scheduled for December, 2018. Landscaping around the house to be complete in the Spring of 2019. Park Entrance Roundabout, Secondary Pathway Improvements (5), Shared-use Pathway Improvements (6), Melton Ravine Bicycle Trail Realignment (7), Dog Beach Access Stairs (8), Stairway Additions (9), and Pathway Realignments (10). Thank you for your patience and understanding as the City works to enhance the park and preserve the river valley trail system for years to come. Phase 1C: Completion of Yorath Landscaping. Phase 1B - Operate: Construction & Completion of Yorath House, Parking and Park Amenity Node. Yorath House, located in Buena Vista Park, was acquired by the City of Edmonton in 1992 with intentions to repurpose the property into a four-season public amenity building. While various studies and assessments were completed, the property has never been redeveloped and continues to sit vacant within the park. Yorath House is listed on the City’s Inventory of Historic Properties and the City is seeking formal designation of Yorath House as a Municipal Historic Resource. The Buena Vista/Sir Wilfrid Laurier Park Master Plan provided the opportunity to revisit the discussion and better understand what role Yorath House might have in the park. Through public consultation it was clear that park users wished to see the space redeveloped into a public amenity building to serve the park. Redevelopment includes opportunities for public programs and events.